This delicious dish seems too good to be true, because it has that appearance of decadent creaminess we food lovers look for in a rich sauce. 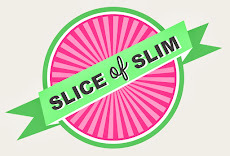 It's the kind of recipe that absolutely sums up Slice-of-Slim because my quest is to retain the joy of food by reducing the fat but retaining the yumminess and the comfort we all seek from our food! ...or even on some toasted bread 'crostini' style like this. Because the main ingredient is zero-propointed mushrooms, you can have a really generous portion and feel totally satisfied without doing any damage to your weight loss or maintenance plans. This probably seems like an enormous amount of mushrooms for two portions, but remember that when cooked, they shrink down, plus the mushrooms are really the only bulky ingredient in this sauce. Slice them into thin but chunky slices and fry in some Frylight Sunflower oil until really soft and brown. Add the Worcestershire sauce and the ketchup. This gives an amazing flavour kick which is then muted down by the cream cheese. Stir well. Add the Extra Light Philadelphia and stir over a gentle heat so that the cheese melts into the pan and creates a smooth, creamy consistency. If it's too thick for you, just 'loosen' the sauce off with a drop of milk. Finally, add some black pepper and snip in some chives, parsley or fresh herbs of your choice. Decide on your preferred accompaniment and work out the propoints or calories accurately to add together with the sauce for your finished meal. Remember you can always 'bulk out' a portion of rice or pasta with lashings of wilted spinach-I cook mine with crushed garlic-delicious! If you want to make this on a Filling & Healthy day, simply replace the extra light Philadelphia with quark and the tomato ketchup with passata. Don't let the sauce boil as it ruins the creamy texture. Serve with brown rice or on a toasted crumpet for a crostini version. Think I might try that recipe tonight - sounds lovely along with your red cabbage recipe too! Everything but the Phili - oh well, will have to wait for another day!! Just fancied this for supper!!!!! Read your article in the WW Magazine, what a super idea. Have done the stroganoff, delicious, can't believe its only 2 pp for the recipe. Done the crumbleless crumble too, lovely with a couple of spoons of plain yogurt. Doing the red cabbage tomorrow, all decadent!! Had this last night Janey & it was delicious. Even hubby loved it & he does like his meat. Cooked 75g spaghetti each & mixed it all together. Will be making again for sure.